What does ethnic expression look like once a community has lost all the vestiges that traditionally define an ethnic group? As a community that has experience almost total language loss and is almost entirely devoid of political and religious cohesion, how can we explain the endurance of an Icelandic identity in North America 135 years following arrival? This is a familiar theme for many ethnic groups in North America and a pressing question for modern migrants who contemplate the cultural and linguistic futures of their families and their descendants. My research responds to these questions by studying transformations within the community long after migration. Official representations of the community, in parades, museums, and on local monuments, often emphasize cultural endurance and provide little insight into the substantial changes that have occurred in the community since arrival in Canada. Using landscape, stories, memories, and objects found in Manitoba’s Interlake region, my work looks at the popular culture of the community to understand how and why cultural change occurred in the everyday lives of migrants and their descendants. So doing, I hope to recast the image of migration as a process of relentless cultural decline and loss, into one defined by adaptation, creativity, and innovation. This approach also informs my new research focus on Icelandic migrants’ adoption of Aboriginal technology in the foundation and perpetuation of the Lake Winnipeg fisheries. Textual records suggest that First Nations fishermen and tools were critical to Icelanders’ adaptation to freshwater lakes in Manitoba and the foundation of that province’s freshwater fisheries. Hidden within the designs of objects like “the jigger” and the canvas winter parkas worn by Icelandic fishermen on Lakes Winnipeg and Manitoba are suggestions of the development of new hybrid Icelandic-Aboriginal economies, families and cultures. 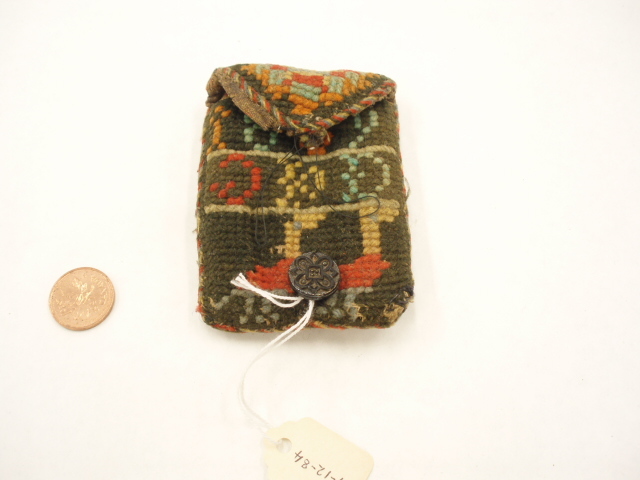 Images: Icelandic needle case, 1884. Collection of the Manitoba Museum. Photo by Laurie K. Bertram. “The Jigger.” As printed in “Where the Fishing is Rugged. “Popular Mechanics Magazine March 1949: 71-83.